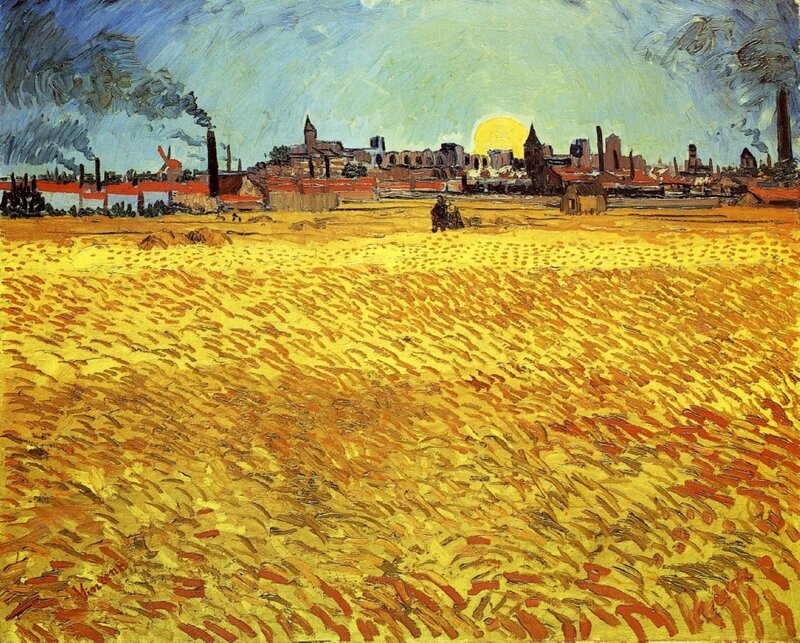 The painting Summer Evening Wheatfield with Setting Sun is one of Vincent van Gogh’s many Wheat Fields works. He painted it in 1888, with previous paintings reflecting the nature’s natural cycle of life he found engrained in the subject matter. van Gogh’s earlier Wheatfields work had progressed from the drab wheat sheaves depicted in his 1885 to the colorful and dramatic scene captured by his increasing talent below. Vincent, had as a young man pursued a religious calling in Isleworth, England, and found wheatfields a metaphor for man’s cycle of life as they are labored by man harnessing nature though the seasonal cycle for a productive end. The painting can be seen on display at the Kunstmuseum in Winterthur, switzerland. The Original in an oil on canvas measuring 188 x 231cm. Born: March 30, 1853 in Zundert, The Netherlands. Died: July 29, 1890 in Auvers-sur-Oise, France. Stunning! I am such a fan of Impressionism, and to think, it was ridiculed in the beginning.